Stall. 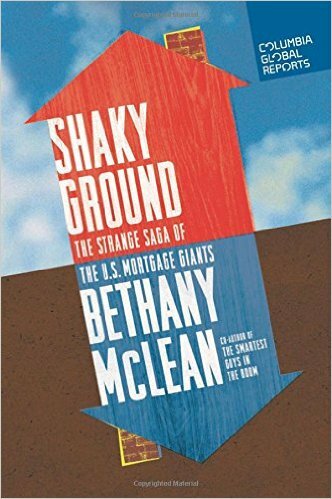 Readers with an interest in housing finance should consider Bethany McLean’s short book titled, Shaky Ground, to be required reading. Using the finely honed investigative skills she developed at Fortune, especially on examining Enron, McLean looks into the stalled resolution of Fannie Mae and Freddie Mac. These government sponsored entities have been in conservatorship since 2008, and there seems to be no progress on resolving what to do with them next. The result is a housing finance system that rests on shaky ground because of the dominant reliance on these companies to support homeownership. McLean views the situation from multiple perspectives and explains the stalemate and stall in resolution with pragmatic empathy. She joins many others in not seeing a way to get off this shaky ground. Rating: Five-star (I love it) Click here to purchase Shaky Ground from amazon.com. Direction. James Martin is a Jesuit priest whose books about spiritual topics have been best sellers. 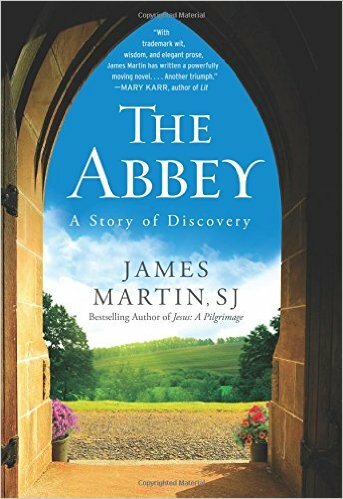 His debut novel titled, The Abbey, features three main characters: a priest who is an abbot, a divorced single mom grieving the death of her son, and her tenant, an architect who works as a handyman at the abbey. Martin presents their life struggles with compassion, and uses his knowledge of spiritual direction to help guide them all toward hope and healing. Over the course of the 200 pages of this novel, Martin develops just enough about the three main characters to have readers recognize them as fully formed individuals, and offers enough plot momentum to tell a complete story. I was mildly entertained by the novel and think that any reader with an interest in spirituality will find something of interest in this novel. Rating: Three-star (It’s ok) Click here to purchase The Abbey from amazon.com. Faith. 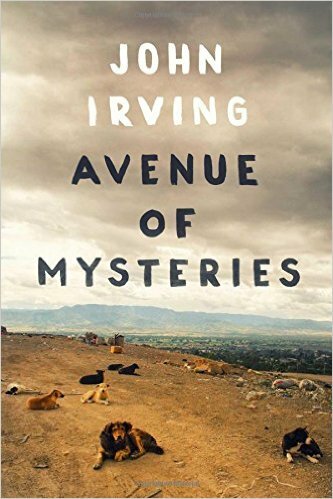 If you’ve ever thought about the phrase, “the miracle of life,” you can think about it for over 450 pages in John Irving’s fourteenth and latest novel titled, Avenue of Mysteries. Irving presents the life of protagonist Juan Diego by shifting back to the past through dreams and recollections, and in the present through the structure of a journey to fulfill a promise. Juan Diego’s life has been filled with mysteries and miracles, and with love from some unlikely or unexpected sources. One reading of this novel filled me with thoughts about the themes Irving explores including aging, fate, the Catholic church, faith, love and perseverance. If I chose a second reading, I’m sure I would find more themes to think about. Irving can be funny, the characters are often quirky and reality can seem to slip away at times. I’ve read all of Irving’s novels over the past four decades, and I admit to a positive bias toward this novel before I opened the first page. Readers who enjoy fine writing are those most likely to enjoy this novel. Rating: Five-star (I love it) Click here to purchase Avenue of Mysteries from amazon.com. Singer. 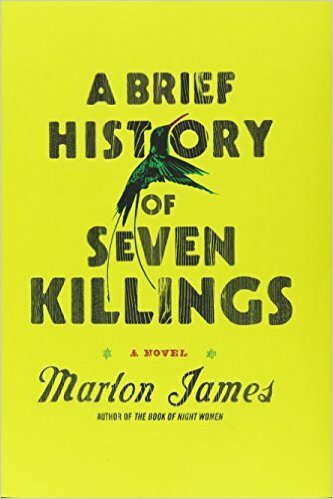 If Marlon James’ novel titled, A Brief History of Seven Killings, is the short version at over 700 pages, I wonder what a not-brief version would be. For patient readers who can tolerate multiple narrators, keeping track of a huge cast of characters, quick shifts in time and place, and examination of the same event from multiple points of view, there is a lot to like in this finely written novel. James’ use of language will delight fans of the written word. Fans of Jamaica and Bob Marley, called the singer in this novel, will appreciate the exploration of the 1976 assassination attempt on Marley. For many readers, this novel provides insight into long term pain and suffering and into the struggles of people we may not encounter in our day to day lives. Rating: Four-star (I like it) Click here to purchase A Brief History of Seven Killings from amazon.com. Souls. 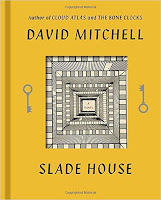 For any reader who has found David Mitchell’s longer novels a bit challenging to read, consider his latest novel titled, Slade House. 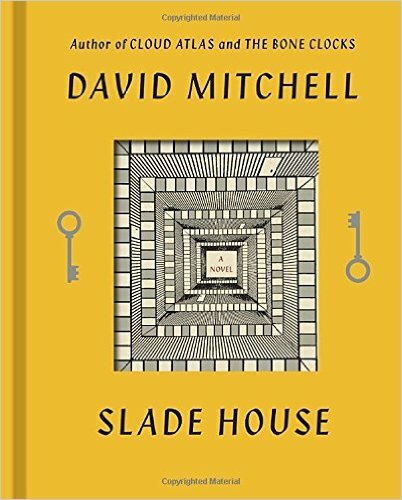 In this finely written haunted house story, Mitchell leaves behind the complexity he usually constructs and offers a compact and simple story that brought me great reading pleasure. Some readers can swallow this 250 page novel in a single sitting. Others may want to savor the suspense over the course of a few days. Any reader who likes ghost stories and the idea of lost souls will find something to like in this novel. Rating: Four-star (I like it) Click here to purchase Slade House from amazon.com. Vision. 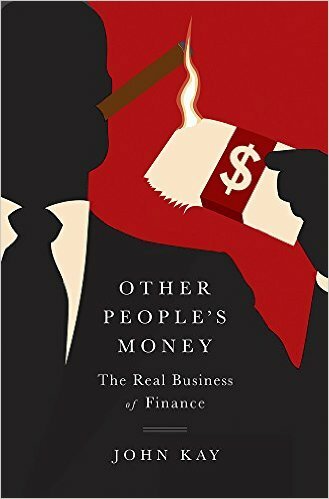 Any reader with an interest in finance and a belief in the power of ideas should read John Kay’s finely written book titled, Other People’s Money: The Real Business of Finance. Kay presents a vision to restructure the finance industry summarized as follows: “It is time to get back to work: the serious and responsible business of managing other people’s money.” Kay’s perspective shows how finance has strayed in recent decades, and he proposes the following: “It is possible to have a smaller, simpler financial services system that is better adapted to the needs of the non-financial economy – to achieve an efficient payment system, effective capital allocation, greater economic stability, security in planning and managing our personal finances and justified confidence in the people who advise us.” (p.290) I enjoyed Kay’s clear thinking and cogent writing. Rating: Five-star (I love it) Click here to purchase Other People’s Money from amazon.com. Fun. 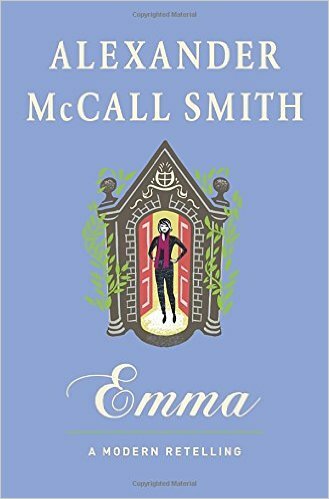 I’d like to imagine that prolific novelist Alexander McCall Smith had fun in writing Emma: A Modern Retelling. There were a few times while reading it that I was somewhat amused. By the end, I confirmed what I knew at the beginning: there’s far less satisfaction in retelling a classic story in a contemporary setting than there is in reading the classic itself or in reading a new contemporary novel. Chances are that if you like Jane Austen, there’s a high likelihood that you won’t enjoy this retelling of her classic novel. Chances are that if you like Smith’s writing and his many serial novels, you will find this diversion less enjoyable than more time with those familiar characters Smith created himself. Readers who are unfamiliar with both Austen and Smith are those most likely to enjoy this novel. Rating: Two-star (I didn’t like it) Click here to purchase Emma from amazon.com. Language. 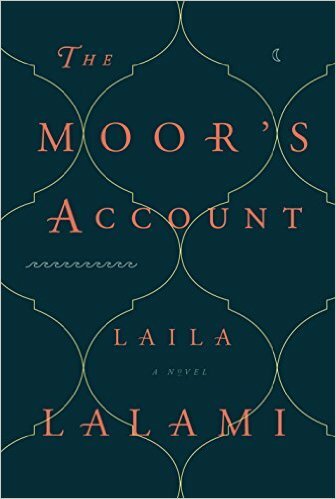 I added Laila Lalami’s novel, The Moor’s Account, to my bookshelf after it received some award nominations. It languished there for months while I read other books, When I finally read this fine work of historical fiction, I as delighted with how many things Lalami did so well. The point of view Lalami presents of an actual 1527 expedition by conquistador Pánfilo de Narváez to the New World is that of a Moroccan slave. Her descriptive language soars lyrically, and the voice she expresses through the slave is packed with themes of morality, race, religion and exploitation. Readers who like historical fiction and literary prose are those most likely to enjoy this creative and finely written novel. Rating: Five-star (I love it) Click here to purchase The Moor’s Account from amazon.com. Finale. 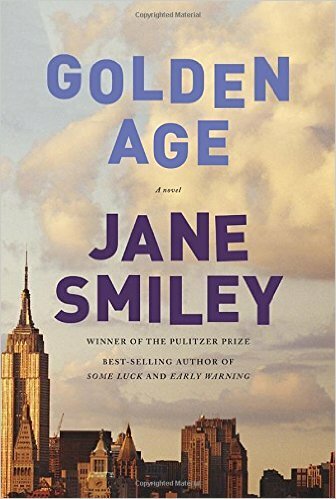 Jane Smiley completes her trilogy of the Langdon family over the last century with the novel titled, Golden Age. Time flew by as I returned to the huge cast of characters, and the connected storylines of their lives, their land, and their loves and losses. Wiser critics than I can assess the degree to which this saga constitutes a great American novel. I enjoyed the sweeping scope of this series, Smiley’s fine writing, the deeply developed characters and the ways in which the Langdon family story is “our” story. My one minor irritation is that I wish Smiley ended the saga in 2014 or 2015. Instead, she projects the story into the future. Readers who like settling into a big novel and spending lots of time with interesting characters are those most likely to enjoy this novel and this trilogy. Rating: Five-star (I love it) Click here to purchase Golden Age from amazon.com. Blog. While I’ve read some Freakonomics books by Steven Levitt and Stephen Dubner, I’ve never read their blog. 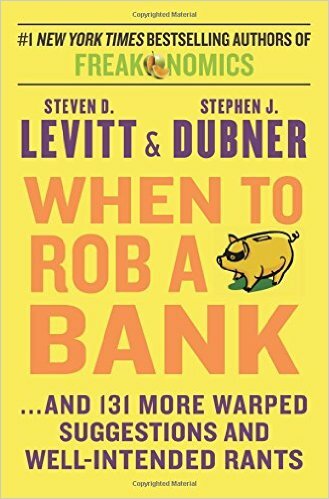 Their latest book titled, When to Rob a Bank, accumulates curated selections from their 8,000 blog entries over the past decade. For readers familiar with their shtick, much of what’s in this collection may seem repetitive. New readers can get a light sampling of their approach from this collection of blog entries. Of course, instead of buying the book, you could just read their blog and curate for yourself. Rating: Three-star (It’s ok) Click here to purchase When to Rob a Bank from amazon.com. Once. Once upon a time in America, our nation was free of debt. It lasted for two years and ten months. Carl Lane tells the story of how this happened in his book titled, A Nation Wholly Free. You’ll be interested to learn that one consequence of the achievement of this milestone was our polarization into two oppositional political parties, divided on how to deal with surplus government funds, and what the proper role is for our central government. Sound familiar? 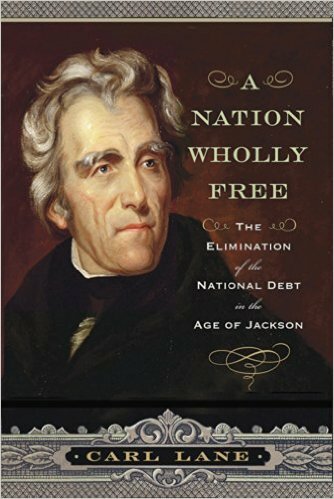 Any reader interested in American history and economics should consider reading this book. Rating: Four-star (I like it) Click here to purchase A Nation Wholly Free from amazon.com. Network. I’ve felt a little apprehensive about all my iDevices after reading Christopher Reich’s novel titled, Invasion of Privacy. This fast-paced suspense novel presents a surveillance system that takes the surrender of liberty to a whole new level. Reich knows how to engage a reader’s interest, and in this novel he explores money and power. 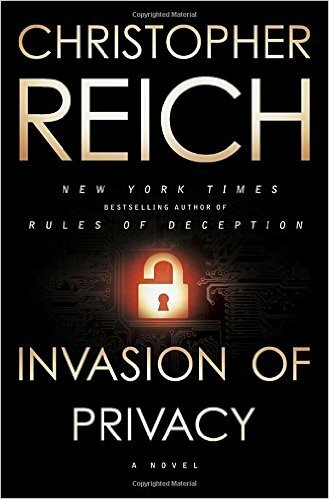 If you’ve given any thought at all to cybersecurity, or if you’ve noticed an increase in surveillance cameras, chances are you’ll enjoy how Reich takes pieces of our current situation, and leads us to a very logical and frightening conclusion. Rating: Four-star (I like it) Click here to purchase Invasion of Privacy from amazon.com. Hilarious. I readily admit that I have acquired a taste for Chuck Palahniuk’s bizarre writing. 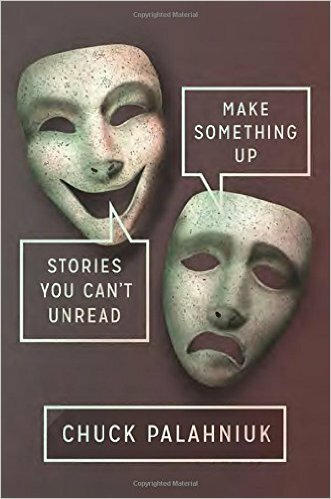 The 21 stories in a collection titled, Make Something Up: Stories You Can't Unread, display a range of his humor and creativity. The subtitle reveals the artist at work: there’s something in most of these stories that you may wish you had not read, but once your eyes crossed the page, there’s no going back. Readers who like his novels are those most likely to appreciate the humor in his short stories Rating: Four-star (I like it) Click here to purchase Make Something Up from amazon.com. Untied. 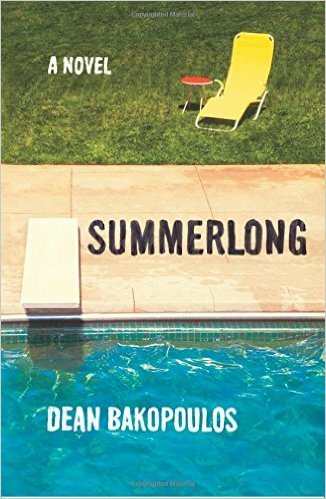 If you read Dean Bakopoulos’ novel, Summerlong, you may never again think of the Midwest and Iowa as boring and conservative places. The summer heat leads to the loosening of marriage and relationship ties, and sadness and humor cross each other with every sunrise and sunset. The characters are real and flawed, just like us. Children and parents are both confused as the recklessness of behavior increases. Desire is a powerful thing, and Bakopoulos’ fine writing draws it out with wit and sorrow. Rating: Four-star (I like it) Click here to purchase Summerlong from amazon.com. Neighbors. 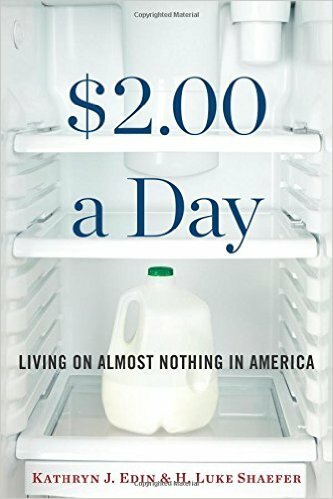 I dare you to read $2.00 a Day: Living on Almost Nothing in America and not be moved by the plight of those living in poverty. Kathryn J. Edin and H. Luke Schaefer found something startling from two decades of research on poverty in America: a growing segment of the population is trying to survive on almost no income. If you think paying a living wage will lead to the loss of jobs, read this book and think about the impact of not paying a living wage. The people described in this book are our neighbors. It’s time we start treating them with respect and with care, just as we want ourselves to be treated. Rating: Four-star (I like it) Click here to purchase $2.00 a Day from amazon.com. Consequence. 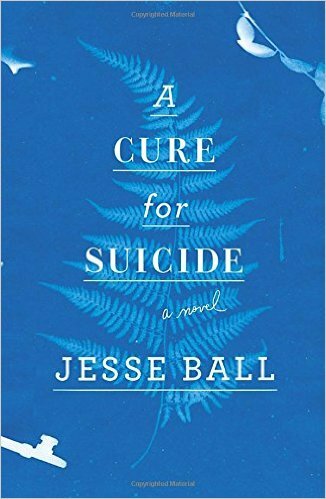 I can’t even begin to pin down exactly what Jesse Ball accomplished in his finely written and unusual novel titled, A Cure for Suicide. What I do know is that I found his prose lyrical and perfectly constructed. At different times, I saw philosophical framing, psychological insight, a search for meaning, and an examination of love and memory. I gave myself over to the discovery of insight from the most ordinary things or events. Here’s an example, “I’ve always felt, said Emma, that people misunderstand consequence. Anything really can be the consequence of something else. That’s our human gift. So, when someone loses a paring knife, well, who is to say what will happen?” Ball presents this human gift for patient readers, and I, for one, unwrapped the gift with great pleasure. Rating: Four-star (I like it) Click here to purchase A Cure for Suicide from amazon.com. Range. 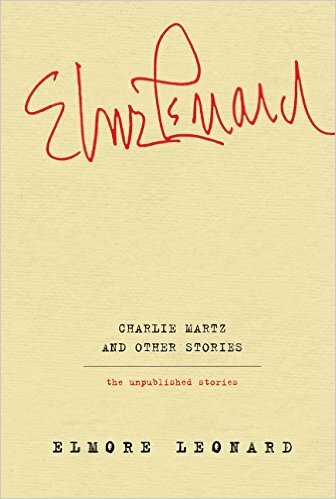 I’ve been a fan of Elmore Leonard for a long time, so when I saw a posthumous collection of his short stories titled, Charlie Martz and Other Stories, I knew I would read them. Eleven of the fifteen stores are published here for the first time. At the time some of them were written, and in the form presented here, that’s not a surprise. Most of them needed work. Nonetheless, I enjoyed reading each story here, and I was impressed by the range of Leonard’s writing. There’s hope for any aspiring writer on these pages: if Leonard went from some of this prose to what he wrote later in life, then there’s a path one can follow that shows how persistence in writing and hard work can lead to considerable improvement. Rating: Four-star (I like it) Click here to purchase Charlie Martz and Other Stories from amazon.com. Quirky. A young man coming of age leaves his small town on a search for adventure, love, and to find his place in the world. 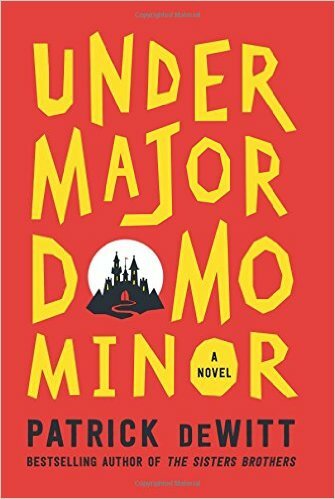 Thousands of novels fit that description, but none quite as engaging or quirky as Undermajordomo Minor by Patrick deWitt. Protagonist Lucien (Lucy) Minor, leaves his home in the village of Bury to work at the castle of Baron Von Aux for the majordomo there, hence becoming undermajordomo Minor. Lucy leads a cast of characters who are funny and interesting. deWitt’s prose smoothly leads readers from a hilarious situation to something dark and imaginative and back again to action that will lead to laughter. Readers who want to be entertained by a novel with a familiar premise and a quirky narrative are those most likely to enjoy reading this finely written book. Rating: Four-star (I like it) Click here to purchase Undermajordomo Minor from amazon.com. Cases. 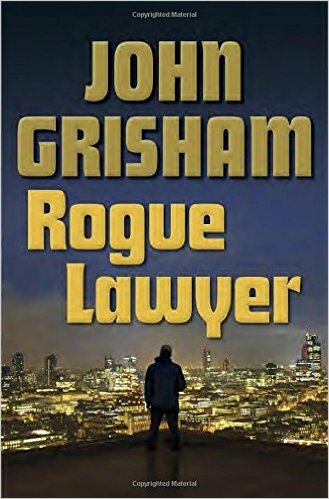 Readers who like crime fiction with interesting characters should find pleasure reading the latest novel by John Grisham titled, Rogue Lawyer. Protagonist Sebastian Rudd is the rogue lawyer in the title, and his behavior and legal cases are not what one would expect. Grisham knows how to tell a story, how to develop interesting characters and how to keep readers entertained. I so enjoyed Rudd that I hope Grisham continues to develop him in future novels. Rating: Four-star (I like it) Click here to purchase Rogue Lawyer from amazon.com. Intermezzo. Armand Gamache, recurring protagonist in a crime series by Louse Penny, finds himself in something like an intermezzo. 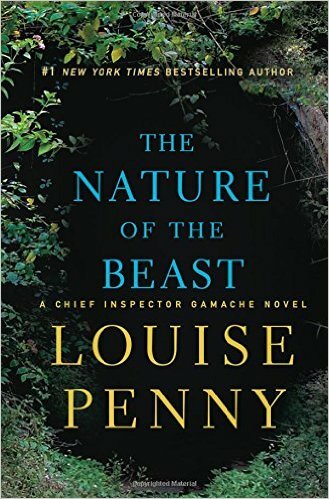 In the latest novel titled, The Nature of the Beast, Gamache, former head of homicide at the Sûreté du Québec, has retired to the Quebec village of Three Pines with his wife, Reine-Marie. Some type of work will follow this pause in his career, and Armand and Reine-Marie are considering academia while he has received job offers from the Sûreté as well as from the United Nations. While restoring his spirit in this remote refuge, murder arrives at his doorstep and the burdens carried by many characters in this small town are revealed. Penny writes a great mystery and reveals deep insight into human nature as she explores good and evil and its manifestation within us. Readers who like crime fiction with complex characters and plot should consider this entertaining novel. Rating: Four-star (I like it) Click here to purchase The Nature of the Beast from amazon.com.